Owing to our expertise, we are distributing, wholesaling, trading and supplying a wide assortment of Departmental Shredder. Our departmental shredder is manufacture as per the needs of customers using excellent quality material employing advance techniques. This departmental shredder is provided in numerous specifications for fulfilling the requirements of customers. This departmental shredder is tested against various quality parameters for delivering defect free range. With the support of skilled professionals and high-end technologies, our organization is able to offer Departmental Shredder. 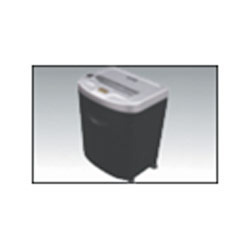 The offered departmental shredders are broadly valued among customers for its flawless range. 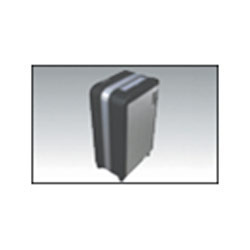 Our departmental shredders are precisely designed at vendors manufacturing unit employing high end technology. Moreover, we supply these departmental shredders from our end after conducting a strict test so as to deliver a flawless range. Backed by the team of skilled professionals, we are distributing, wholesaling, trading and supplying a wide assortment of Departmental Shredder. The offered departmental shredder is well designed using high grade components. Our vendor makes certain the quality of departmental shredder by tested it against predefined quality parameters. Along with that, our honored patrons can avail this departmental shredder, as per their needs, at affordable price. We offer quality range of Departmental Straight Cut Shredder, which are manufactured using superior quality material, procured from reliable vendor. These are highly acknowledged for its high resolution, low power consumption and exceptional performance features and finds wide applications in various industries. Available in various shapes and sizes, our range of Industrial Cross Cut Shredder Products can also be custom made as per the detailed descriptions, given by the clients. Specially designed for large quantities of paper, cardboard, carton boxes, Floppy Disks, CDs, DVDs, Credit Cards and even aluminium cans and plastic bottles. Innovative shredding system based on a turbine combined with High Speed Rotating Blades delivers any level of security and bulk reduction required for the application. 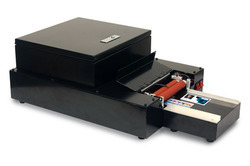 Shreds up to 500 sheets of paper at a time regardless of the particle size. Shredding output up to 420 Kg (940 lbs) of paper per hour (Theoretical Output). We are deal in PVC Id Cards Uv Lamination Machine.